The year will bring many new shows, pilots and specials to the Nickelodeon Kids network. Nickelodeon is going into 2013 full steam ahead with plans that include some exciting new shows, movies and sitcoms. That is great news for anyone who wants to tryout for Nickelodeon or any of their other franchises. Lots of new Nick shows means lots of casting calls and auditions for Nick. The network will need to find actors and other talent to fill the roles on these new shows. Auditions and castings are going on now and casting directors will be staying busy finding the perfect talent. The shows lead roles and recurring characters will be cast first and extras casting will begin when the show begins shooting. The network has an aggressive line up of over a dozen new shows and brand new episodes of their current hits. The Nick Network is reporting that they have 14 new live-action and animated shows in the works that will begin filming and airing in 2013. The Kids network is trying to revamp their lineup and compete hard against their current competitors, Disney Channel and The Cartoon Network. With 14 new shows for the new year, they may give the Disney Channel a run for the money and the coveted tween / teen audience. The new Nickelodeon lineup includes the new Nick series “Wendell and Vinnie” as well as “Sam & Cat” and “Gibby”, spin offs of Victorious and iCarly. The 2 shows will feature characters from “iCarly” and “Victorious” plus many new characters that they will cast and we have yet to meet. Along with the new Nick shows, the network also has movies and specials in the works as well as some new pilots that may be picked up to be a series. One of the new pilots is “Instant Mom” and it will be filmed for Nick at Nite. A couple new movies will begin casting and production in 2013 including “Swindle” and “Nicky Deuce”. There is also some great news for fans of their current shows. House of Anubis will be back for a third season, and existing shows will also be shooting new stuff in 2013. And even though iCarly and Victorious are now history, the characters are not since a spin off will begin filming and Nick will shoot 20 episodes of the new show called “Sam and Cat” which stars Jennette McCurdy and Ariana Grande. 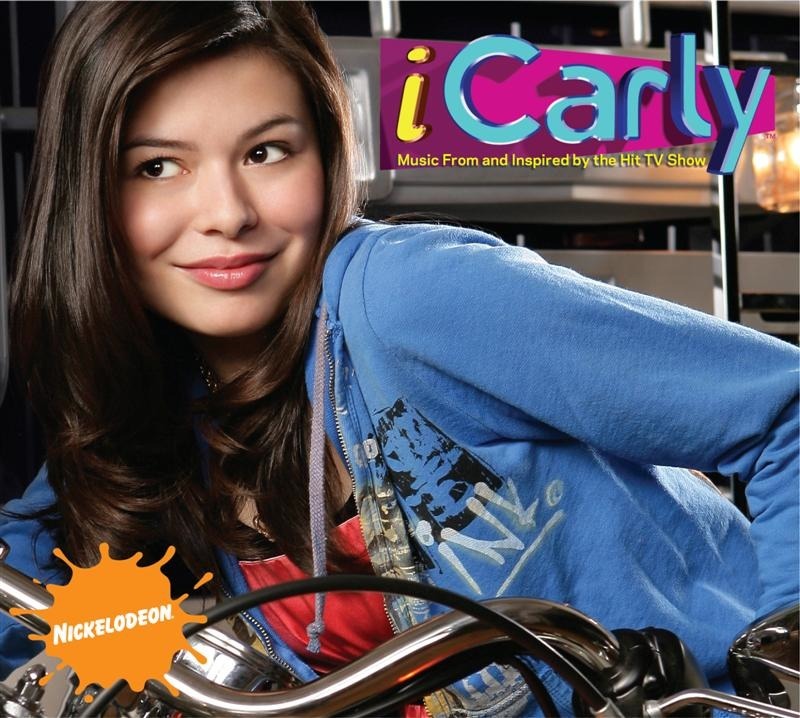 The 2 teen actresses will revive their “Victorious” and “iCarly” characters. In “Sam and Cat”, Jennette and Ariana play best friends and roomies who start a baby sitting business. The Nick network not only has many tween / teen live action shows planned but also quite a few animated series and programs aimed at younger children. The Nickelodeon animation studio will also be busy in 2013 with new animated series planned. Among those will be “Monty and Norville”, “Monsters vs. Aliens”, “Blaze and the Monster Machines” and “Sanjay & Craig,”all will be animated series. Animated series also have a cast of actors. The casting calls for those are for voice over actors to play the voices of the cartoon characters. So stay tuned for more updates on new Nick shows and keep your eyes peeled for the castings. Since Nickelodeon hires young actors there may be some great opportunities for teens and some new Nickelodeon kid auditions on the horizon. If your an actor interested in trying out, you better contact your agent and get the ball rolling since production of many of these new shows will begin as early as January, 2013. Hello, my name is Mia. I’m twelve years old and I’m 5’3. I have hazel-brown eyes with brown hair and golden streaks, all natural. I’m Chilean and American/Caucasian with a little tan to my skin. My birthday is 12/17/2002. I would love to be a actress for the Nickelodeon channel because I am very smart and funny. I would tryout for any of the shows as well. I’m excellent at acting (and singing) although, I have not went to school for it. I’m very photogenic and would work very hard if I got an acting job. I hope you can give me a chance to show you what I’m made of! Hi my name is Ronnae. I am an 18 year old African American female. I am 5’3″ and 135 pounds with short brown hair, and brown eyes. I have been in every school play since kindergarten. I was even costume designer one year. I was a part of the Sacramento Ballets Nutcracker four years in a row, i attended the Sacramento Theater company summer camp for three years and even worked with one of the specialist after the camp in a monologue production in San Francisco. In the summer of 2013 i was the lead role in A Star Aint Nothing But A Hole In Heaven in a community theater. I portrayed Carol Burnett in our drama tribute to her. I can do multiple accents and voices, I also know stage combat, and sword fighting. I was also a member if my high schools inaugural dance team. I took 2 years of drama in high school and was in drama club all four years. I have the experience and the passion to keep acting. I love doing it, and will always work as hard and harder than you need. To tell you the truth, I’m not perfect. I used to self harm my self because of what I thought was a rough life. The one thing that helped me get through it was my passion for music and acting in that category. If you choose not to see my talent then fine by me, life goes on and so will I. But please give me a chance and I will wake up at any time 3 am, 4 am, hell I wont even sleep or take any break but please just all I’m asking for is one chance. And I will make sure that I make it. Thank you so much for taking your time to read this and I will show you my dedication and passion for theater arts, have a wonderful day. It would be awesome to be on this show, it would an awesome experience. Hi my name is Kiara Dickson and I am 14 years old and I live in Las Vegas Nevada. This opportunity is really great for me. I will love to go and audition for this movie. I have experience in a acting school called breaking into Hollywood and they help you with your career. please pick me for this movie, I really do a good job on my acting and I won’t let my audition go down. I will succed to it, bye and have a nice day. Hi! I’m Calli. I live in Idaho. I love acting though I have never been to classes I have been in a couple school plays! I learn quick and I am very enthusiastic! I know some Mandrin and I have experience riding horses! I have a great sense of humor and i’m very friendly. My parents say I act older than my age. I enjoy adventure, acting, horse-back riding, zip lining, hiking, dancing, and reading! E-mail me if I fit any role! By the way I enjoy Nickelodeon very much! I take acting classes, I play sports such as soccer and volleyball. I’m a really funny and happy person. I LOVE acting! height:5’3, Hispanic, honey brown long hair, hazel eyes, light skin. If I fit in any show, Please Let me know as soon as possible thanks. Contact me please on email. I am 14 i love acting, dancing , and modeling. I am a hard worker please email me the script. I would love to do new things and meet new people. Yo gonna keep this short. I’m an experienced actor and I’m 18 years old. Skills: I have experience, I came out on shows such as Tosh.0 and was an extra in the Batman v Superman film shooting and I have head shots. Find out what I can do and contact me, or you’ll miss out. Hi my name is Julian and I wont to be actor but mostly I want to sing and go on tour with others I sing with. I am 12 years old and I have brown hair and brown eyes. I also write songs that all my friends like mostly the girls ha ha ha. I hope u respond to me. I really wont to go on tour with other singers I sing with please I dream every night about my going on tour. Singing is life every beat in a song is a beat in my heart thank so much for reading this. My name is Genesis,I love to act and dance. I am 13 years old. I live in Vancouver Washington. I have dirty blond colored hair and I am 4’7 1/2. I am currently waiting to see if i have gotten in a performing arts school, (Vancouver School of Arts and Academics)for Dance and Acting. I can play whatever role you give me, I always put in hard work plus 5 times more. When I was younger watched the Nick and Disney stars having fun on camera, and to live that would be amazing!I’m looking forward into hearing from you. Hello my name is Amaree I am 15 year old. My birthday is November 22 1997. I have never really done acting jobs but I would love to try it my friends always say I make them laugh. I am a very funny person. I love to make people laugh that is what makes me happy. I play sports. I play basketball (High School Varsity Team), I Bowl I have won very many tournaments I have been bowling sense I was 3, I think I am ranking 7 in Nor Cal,and I also scuba dive I have been for 2 years now. I have dove in Mexico and mostly in Monterey bay ca. I love music and I would do anything to have fun listing and dancing to it. Thank you for reading this 🙂 if you have any more questions for me you can call me. Hey guys wassup? 🙂 So I’m a 16 year old girl from Macedonia, Europe and my biggest dream is to be an actress, but here I have no chances. So I have a twin sister if needed. I have done many plays and performances and I’m a cute brunette. I think I have the potential to be part of some channel(my favorite) thanks. I am 12 years old, Caucasian, have blonde hair and green eyes. I want to audition because acting is my life! I love to act! Please email me back, and consider me. Thanks! I have done many plays and performances. If you could email me I can give you a lot more info. Experience: I have played in a play in the 5th grade as Rosa parks,and a play as a dramatic actress named “Greta.” Now for singing, I have sung at a concert in sixth grade, and honestly EVERYONE LOVED IT! Hello, I am Patrycja Zdanowicz, I am 13 years old (29/08/1999) and I am from Poland. I moved to Scotland when I was 7. I live in Scotland, U.K now and know English very well. I met my new best friend Paulina here in Scotland. Paulina isn’t English either, she is Lithuanian and nearly 13(30/11/2000) We both love acting and we both want to live in L.A. We love Nickelodeon. We would love to get a part in one of the new shows that are about to come out or join in a show(Sam & Cat etc.). I’ve wanted to be an actress since i knew what an actress was. I have curly brown hair, mixed eye colour, and 5’5 tall. Paulina has light brown wavy hair, mixed eye colour, and 5 foot tall. We both are wanting to make are dreams come to and we’ve been searching on the internet for auditions for any kind of movies/tv-shows. I would do nearly anything just to make that happen. We sadly don’t have much of a chance to make does dreams to come true, but there’s nothing wrong with trying. About Me: Hello, my name is Veronica Davila and I’ve always been interested in acting since I was 4 years old. I am also interested in modeling. It’s been my dream and I want the doors to be open and I want my dream to finally come true. I love traveling and I’m open to any auditions. I love putting myself out there and love putting smiles on other people’s faces. 🙂 I would really love some work and projects to do. I always give my 200%! I have always wanted to be on Nickelodeon and Disney channel since I was 4 years old always repeating the words of Lizzie McGuire and Even Stevens and acting it out. I’ve just always wanted to be on television, I didn’t care what it was. I graduated from John Casablanca’s modeling and career center 3 years ago and I recently did a short film called The Visit with Terminal 52 Films so I have experience of remembering lines and showing different sides of myself and being behind the camera and following directions.. I am a very optimistic person and my bubbly personality always puts smiles on other people’s faces. I always work in groups and work great with other people. Disney has always told me to follow my dreams and that’s what I’m going to do. I have a passion for acting. Modeling as well. Thank you for your time. Hi, my name is Krysten I am 16 years old. I am African American and I am dedicated, trustworthy and would love to pursue my dream and that is being an actress on the big screen. To get my resume, headshots and contact information please email me. Thank you! Hi my name is Vivica Hunter. I’m going to be completely honest, I know you guys probably don’t read these but I’m going to say this anyway. I love to sing that’s my passion. I never really acted before except for a play, but I think this would be a fun and cool learning experience. so please if there is anything open or any auditions please email me. I have been in school plays and talent shows and am good at remembering lines if you choose me you wont doubt it. I would really like to be on any show that would fit me. I have been practicing at my house and in school plays. please give me this role. I love watching all these shows ESPECIALLY HOUSE OF ANUBIS! Please let this be a huge opportunity for me to audition for new House Of Anubis series. I would love to be a new American actor working with everyone else. I would love to be a new freshman joining House of Anubis. PLEASE let this be my chance. I am 13. Also I am 5’4. I would love to be apart of this. I can be the new ” Nina” or the new ” KT” please! Thanks and bye! I’m Cristina and I am 15 years old . I live in Romania and to become an actress is my biggest dream. This the reason as to why I am learning English. Please make it real and give me a chance. I’m 13, very talented at singing and 5 foot 7 inches tall. I have black hair and I would love to be in anything so please choose me. Hello there. My name is Sydney Jones. Age: 13, could pull off 15.
every line I speak ( if it’s called for.) I have been acting and singing for 8 years now and have won several first place state trophies in improv duo. However, I can mesmerize lines quickly as well. I realize that many teens and young actors throw comments out here and your time can be wasted by some of them. I hope that you enjoyed my information shared. Furthermore, if you are interested in me or anything about me, feel free to contact my mother at her email, which is given to you. Regardless of your opinion of me, thank you for your time. I’m willing to do pretty much anything including stunts if needed. I also love dancing for fun and working out. My family are very supportive and are willing to do anything for me and that’s why I love them. My family tells me that I have a lot of sass and that I’m very fun to be with which makes me happy. My mom tells me I’m a lot like me which I think is funny but also an honer so once again please email me if you are interested in helping me become an actor and do what i love xoxo kaylee. hey, I’m lleona and I would love to be given the chance to be an actress and work with some of my favorite actors and actresses on nickelodeon and Disney channel i.e; Ariana Grande, Victoria Justice whole cast of victorious and Icarly, good luck Charlie and zoey 101 when they filmed haha 🙂 I love watching all of those things and I really want a chance to be on tv. I do gymnastics so I could do backflips and flexible things! Hair color: brown, long, straight. I am a good singer, dancer, and actress. I am hard worker, I’m also very friendly, creative, funny, kind, energetic. I speak English, French (a bit), Bulgarian, and Macedonian. I would really like to audition for you guys. Please email me. I am 15yrs. I love acting, singing and dancing. I am 15 and I love acting. I would like to look for a part in the audition.